Be a part of this annual event hosted by the Chamber of Commerce. This year, we are partnering with the YMCA in association with National Healthy Kids Day. The one day event allows businesses in the Health and Wellness field or businesses interested in reaching local families, the perfect venue. Join the Chamber of Commerce as we celebrate Memorial Day with our town. Be a part of our fantastic, patriotic float. Opportunities include: walking next to the float, passing our promotional materials to parade goers. The Chamber is sponsoring the popular Concert in the Park at Town Hall, featuring one of the local-favorite bands, Back and Blu. Always a well-attended event, this is an affordable way to brand your business to the community in a fun and casual environment. Learn more about advertising with the Brookfield Chamber of Commerce by calling Susan Queenan at 203-775-8282 or emailing executivedirector@BrookfieldChamber.org. 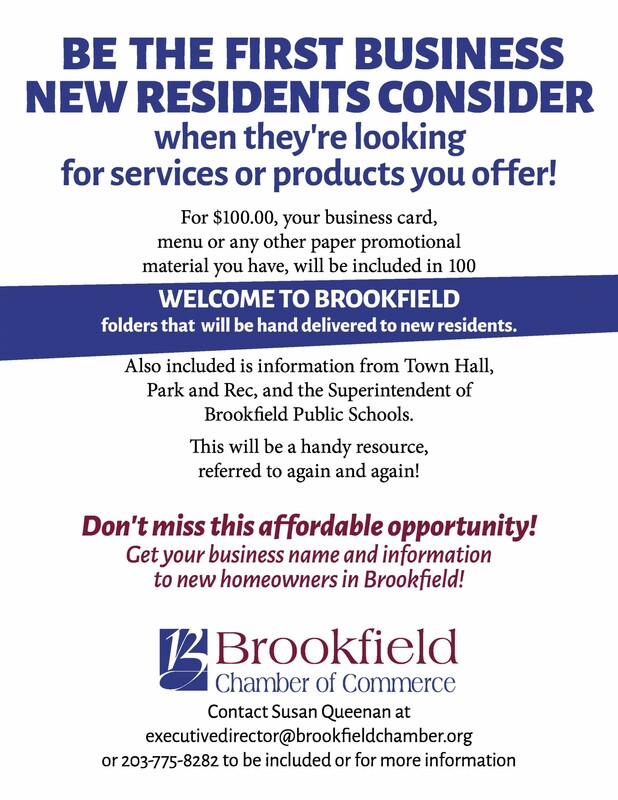 Promote Your Business Through the Brookfield Chamber! Ad Rates Start as Low as $50/mo! The Chamber offers you so many options to showcase your business! 4. Networking Events like Business Gatherings, Lunch-N-Nets, The Gala, and More! Contact Susan Queenan at (203) 775-8282 or via email at executivedirector@BrookfieldChamber.org.